In short, we have a love for flowers and a fancy for the perfect decor. We hold dear the amazing life moment of I DO, the miracle of an upcoming birth, the sweet brilliance of anniversary’s, the glimmering time of prom and the celebration of life. It is our honor to become part of the family during your special occasions and to awaken your emotions with flowers that will help make that very special moment in time an ever lasting memory. I am the owner and lead creative designer of Southern Florals and Drapes. I hold a special place in my heart for flowers as they are my happy place. I truly LOVE what I do and feel it is my purpose in life. I had the honor to work for Flowers by Lynn with my dear friend and mentor Mr. Nelson Lynn Teate in 2014 and was even more flattered to partner with him and become Flowers by Lynn and Julie in 2015. As we welcomed in 2016 it was a difficult decision for Lynn to retire and me to move on into my own business. We got to be a part of some beautiful weddings with amazing families and I cherish every one of them. 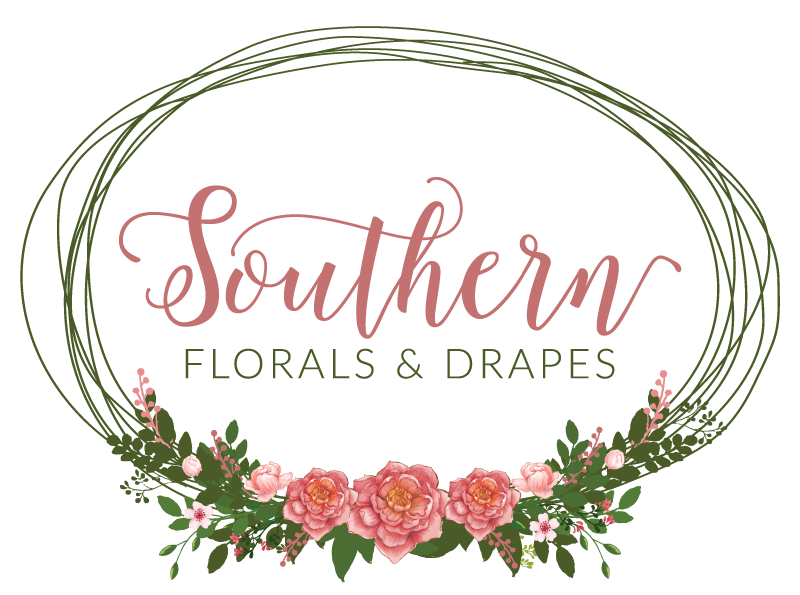 As I start my new venture with Southern Florals and Drapes, I am committed to bringing a unique style and design that caters seamlessly to each person and event. As a company we strive to be on top of and ahead of the latest trends and will forever continue our education to learn our craft. I am conscious of the environment and am always working for a better process to long term sustainability. We have initiated a Compost and Cut Garden to grow with each event. I have been in the floral business for 31 years. My career in flowers ranges from owning my own full service flower shop at age 18 to then working for one of Macon’s largest and long established Flower shops for over 20 years handling all of their wedding designs. I have been blessed to work for some wonderful people over the years caring for the floral needs from prom flowers, engagement parties, weddings, welcoming babies and first birthdays. I am looking forward to working with you on your new adventure as you start a new chapter in life. This is a big investment, how do I know my money will be well spent? We have a combined total of 34 years’ experience and provide only the freshest and highest quality local and farm direct flowers. We are licensed and in full compliance with local and state agencies. We are insured to operate in all 50 states of the US. We are proud to have a 5 star Facebook rating and the highest of reviews for all of our clients. What sets you apart from a Flower Shop? We are different from a traditional florist because we are completely dedicated to your occasion. With the exception of a few Major Holidays (Christmas & Valentines) that we will offer a limited number of custom designs and gift ideas. Our full time job is working with you to create a flawless design unique to you! We do NOT offer packages because every event is different and unique to you regardless the size or budget. We do however offer a pick-up service for smaller budget events ranging $3,000 or less. We believe everyone deserves a beautiful day! We work best with clients who are open to the design process and enjoy working with us to create custom design. We especially like working with clients who are not afraid to try new concepts and designs. We have the creative ability to bring your vision to life! Do you offer payment plans? Do you accept credit cards? We require a non-refundable reservation fee of a minimum of $200 to lock in your date, this can vary depending on the overall design. We do offer you the ability to make payments on your event up to the required final payment date of 2 weeks prior to you event when flowers and final purchases are made. We accept the following forms of payment: Cash, Checks, Money Orders and all Major Debit and Credit Cards with a transaction fee of 3% of total charge. We give you custom pricing for your event and every dollar is factored in to bringing you the best overall design so a fee is placed on cards to ensure you get every quoted element.